The stock market can be a scary place, especially if you’re just getting into trading or investing. However, some smartphone apps help decrease the barrier-to-entry and make it easy to get going. Robinhood is my favorite. Disclaimer: We are not a personal finance blog, so we are not offering advice on what stocks you should trade, or whether trading or investing in individual stocks is the right choice for you. Rather, we’ just want to show how easily you can get started right on your smartphone. After that, you’re on your own, kid! 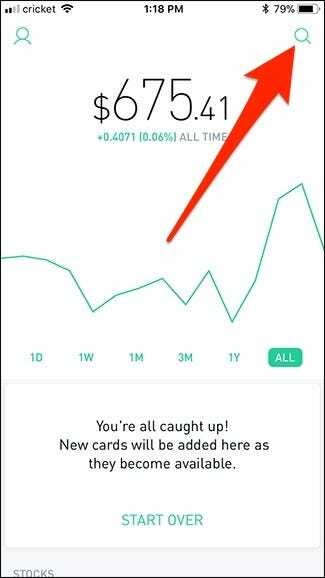 There are a few apps that make it easy to start buying and selling stocks, but the one I like the best is Robinhood—mainly because it’s completely free to use and it’s a great app for both long-term investing and regular day/swing trading. Most—if not all—brokerage firms charge some kind of commission or fee for each trade you perform. Some firms charge a percentage; others charge a flat fee. Robinhood, however, doesn’t charge a fee or commission at all, making it a great platform for those who don’t really have a whole lot of money to trade stocks (and commissions and fees can easily eat into small returns). So how does Robinhood make money? They simply collect the interest from any uninvested cash that you have sitting in your Robinhood account. 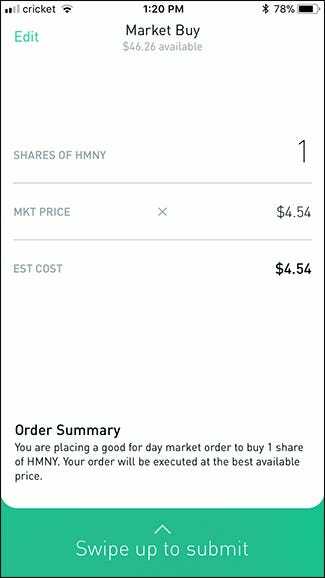 Robinhood also sports a super simple and clean user interface. This ease of use is great for someone just starting out, and who doesn’t want to be bombarded with numbers, percentages, and charts all over the place. 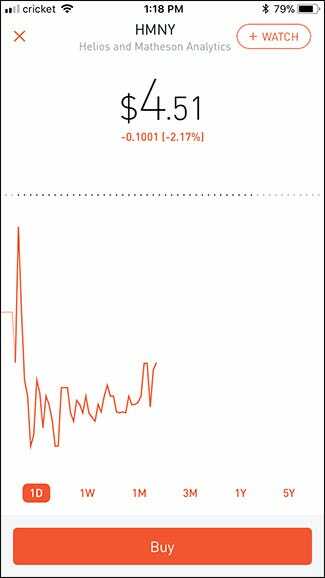 On the other hand, Robinhood’s simple interface can be considered a bit of a downside, as the app doesn’t include much in the way of analysis tools other than a simple line chart. Robinhood is really only meant as a platform for buying and selling stocks, leaving you to fend for yourself as far as research and analysis is concerned. Thankfully, though, there are a ton of great resources available out there. You need a valid social security number ( a taxpayer identification number won’t do). You need a residential address within the US. You must be either a US citizen, permanent resident, or have a valid visa. You can submit an application for Robinhood on your computer through their website. It’s a pretty simple signup process. However, be prepared to provide some personal information about yourself, including your address, date of birth, social security number, and a copy of your driver’s license. This stuff is needed to prove your identity, and Robinhood will also pull your credit report. This means you might have to wait a few days to get approval, although it could be as little as an hour. Once you’re accepted (you’ll receive an email), you can download the Robinhood app to your phone (available for iOS and Android). A web-based version is slowly rolling out, but it’s available on mobile for everyone. 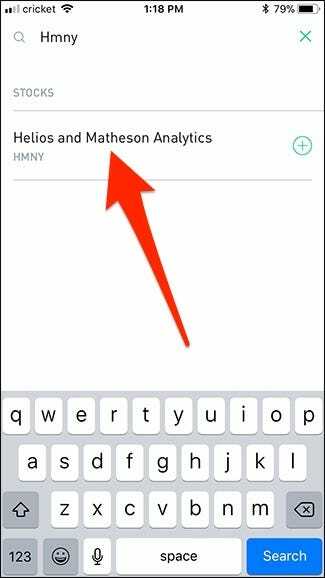 When you’re signed into Robinhood and ready to go, you’ll first be prompted to link a bank account. 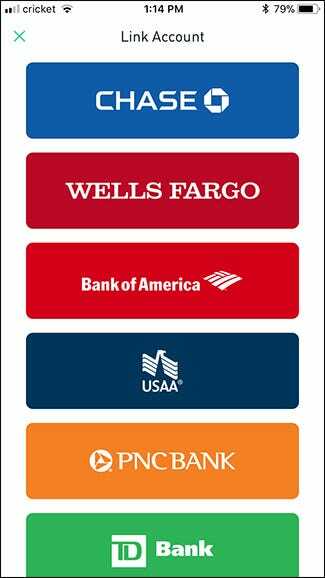 Tap your bank if it’s listed. 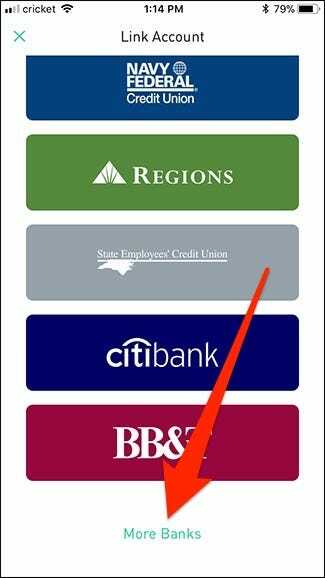 If your bank is not listed, tap “More Banks” at the bottom and type in your bank’s name. 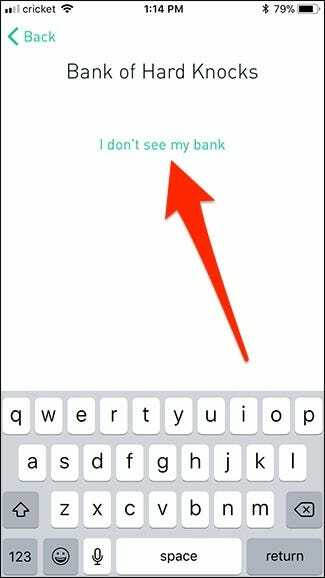 If your bank still doesn’t show up, tap the “I don’t see my bank” link. You’ll need to manually enter your account and routing numbers, so have that information ready. After linking your account, Robinhood makes two small deposits that you’ll have to confirm in the app. 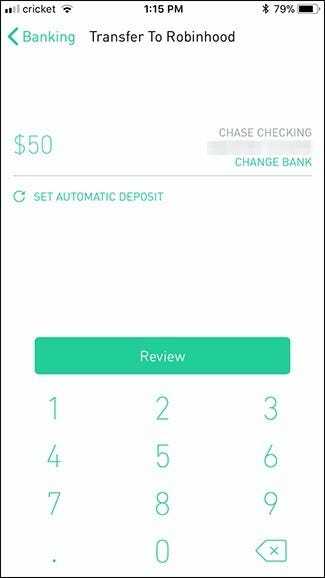 Once you have your bank account linked, you can then transfer money over to Robinhood. Enter the amount you want to transfer, and then hit the “Review” button. If it looks good, tap “Submit” to finalize the transaction. Transfers less than $1,000 happen immediately, whereas larger amounts take 4-5 business days. 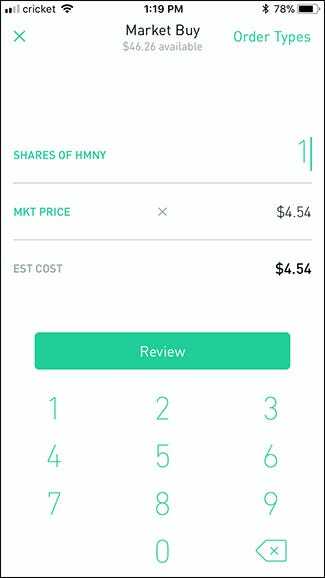 Now that you have money in your Robinhood account, you can buy and sell stocks right away (as long as the stock market is open). To begin, tap the search button in the top-right corner. Type in the stock’s ticker symbol or the company’s name, and select the appropriate search result. 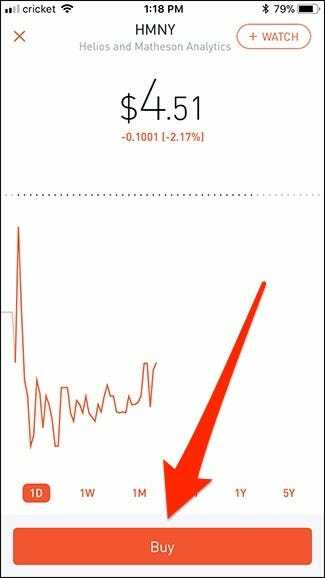 You’re shown the stock’s current price, a line chart of it’s recent price history, and a link to buy the stock. You can get more information about the stock by scrolling down. You’ll see things like news about the stock, trading volume, market cap, P/E ratio, and more. If you’ve decided that you want to buy the stock, tap the “Buy” button. Type in the number of shares that you want to buy, and then tap the “Review” button. Confirm the order details, and then swipe up from the bottom to make the purchase official. Congrats! You’re now the owner of a stock! If you ever want to sell that stock in the future, you’ll tap “Sell” instead of “Buy” on the stock’s page. After that, the process is exactly the same as buying a stock, only this time you’re selling it. Robinhood isn’t the only easy-to-use investing/trading app out there, although it does stand out because of its zero fee structure and ease of trading. However, here are some others that are worthy of mention. If you want a much more passive approach to investing your money, Acorns offers just that. We’ve mentioned the app before, but essentially it uses spare change from every purchase you make and automatically invests it in an Exchange-Traded Fund (ETF). The only downside is that Acorns costs $1/month to use. So if you’re only investing your spare change, that’s a pretty big fee to pay in the grand scheme of things. You can accomplish the same thing with Robinhood for free if you’re willing to do just a bit more work. M1 Finance is another easy-to-use investing app that lets you automatically make recurring transfers from your bank account and easily build a portfolio. And it’s completely free to use. The downside of M1 is that you don’t have a lot of control over buying and selling stocks. You can choose which stocks, but you can’t choose exactly when to buy and sell them. The reason for this is that M1 Finance keeps their costs low by buying and selling in bulk during a single daily trade window. Still, like Acorns, it’s a good option for long-term investing, but not necessarily regular trading. 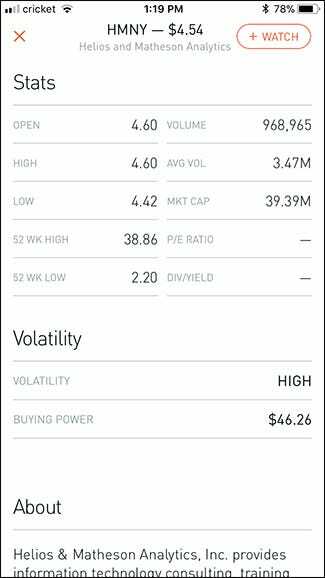 TD Ameritrade is a well-respected brokerage firm, and Thinkorswim is the company’s online trading platform that you can access from your smartphone through its app. The biggest feature of Thinkorswim is its bevy of analysis tools for those who want to spend a bit more effort researching stocks and figuring out which ones to buy or sell. It even has a paper money platform where you can practice strategies in a simulated stock market environment. 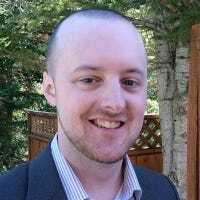 You can get all these features for free as long as you have an account, but trading stocks will cost you normal brokerage fees after the first 60 days.